Visitors to the Kelowna International Airport will have something new to enjoy on their way towards the departure gates. A series of six large paintings by Vernon-based artist David Wilson Sookinakin comprise a 40-foot long installation called Water Travels a Cycle. 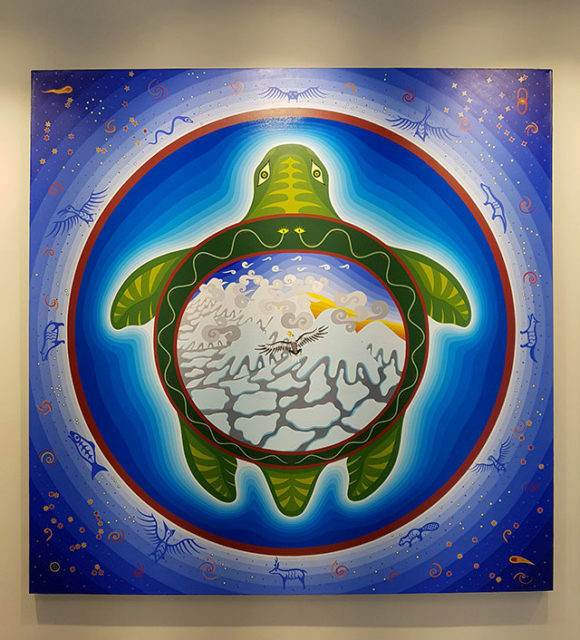 Through a combination of linear forms and vibrant colours, Sookinakin creates circular compositions that draw from the symbols and stories of his Okanagan First Nations heritage. In this series, the social life of water—from the rain of the clouds, through snowy peaks of mountains, to rainforest hot springs—is told in images. 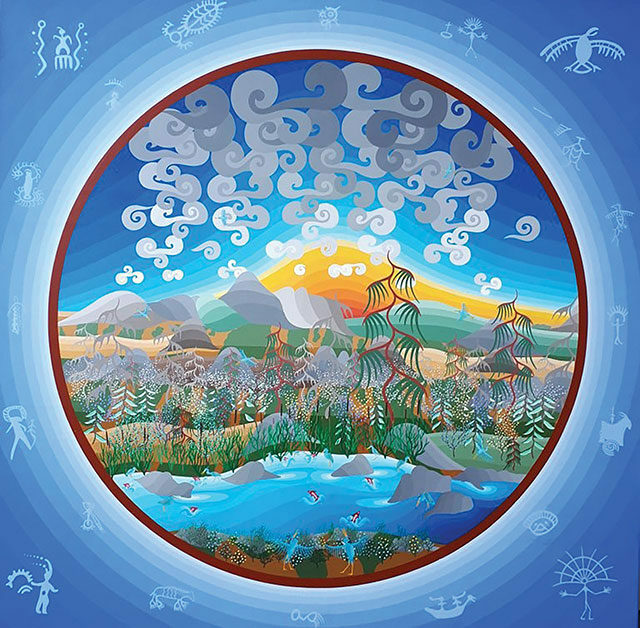 One of Sookinakin’s works entitled The Turtle’s Spine depicts a turtle with a shell that features snow-covered mountain peaks, clouds swirling around the top-most altitudes, and an eagle soaring high above. David Wilson Sookinakin’s dynamic installation will give passengers a reason to pause on their way to their departure gate. 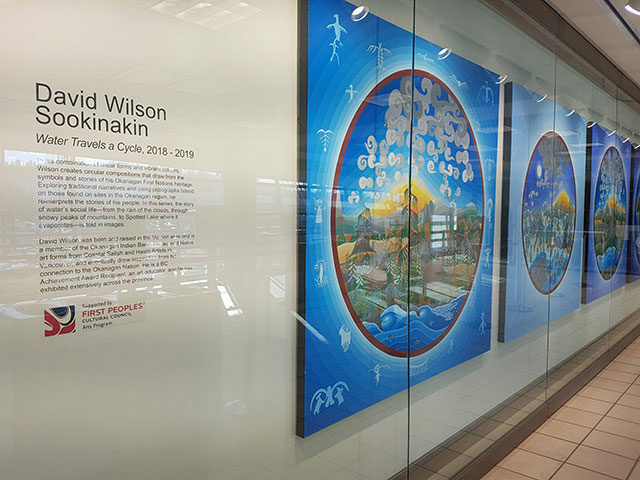 Water Travels a Cycle is on view until September 18, 2019 at the Kelowna International Airport. The artist will give a talk on Wednesday, April 3, from 12 to 1 pm, as part of the Lunchbox Talk series at the Kelowna Art Gallery. This event is free and open to the public. For more information about current exhibitions, public programming, or special events, please visit the Kelowna Art Gallery online at www.kelownaartgallery.com.